Welcome to the Above & Beyond Mortgage Loans, Inc. Web site. 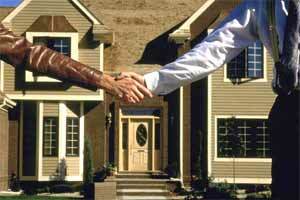 Our mortgage consultants have been providing mortgage assistance to borrowers for a combined 30 years of experience. With a wide variety of mortgage loans to choose from, your family’s mortgage needs are sure to be met successfully and affordably. Our professional mortgage consultants and staff help make sure our clients are first priority. Above & Beyond Mortgage Loans, Inc., and our mortgage consultants all share the same common goal: to provide individuals and families with excellence in the process of a mortgage loan. Rest assured that Above & Beyond will fully educate you from start to finish on the loan process. We provide maximum knowledge with our commitment to individualized service. We’ll put our experience and expertise to work for you as we build you the ideal loan program. With Above & Beyond Mortgage Loans, Inc., you know we will always have your best interests in mind.